Play started yesterday in the 2012 Arizona Fall League, kicking off another season of extremely localized scouting. For those of you unfamiliar with the AFL, it is an extracurricular league that plays for six weeks after the minor league playoffs have ended. Each major league team sends around six representatives there, making up six total teams that all play within about 45 minutes of each other, in and around the Phoenix area. The players who comprise these rosters are usually top prospects or players that MLB teams want to get a longer look at – either because they want to make 2013 roster decisions or the player missed some time due to injury in 2012. It’s a big offensive environment, as these top prospects are rarely of the pitching variety and the desert air is a comforting mistress. When a player impresses in the AFL, it does wonders for his prospect status, as the whole league is littered with scouts. 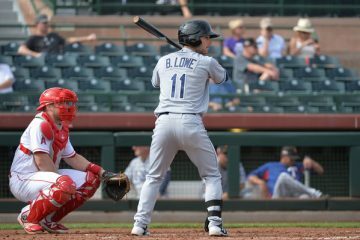 Last year, Wil Myers blew up the AFL to the tune of a .360/.481/.674 line – his 1.156 OPS was third in the league behind Jedd Gyorko and Mike Olt. Myers had come off a poor 2011 season, but used the AFL to show everyone he was back. Same with Mike Olt, who had suffered a major injury during 2011 as well. As a result, both of these guys placed very high on pre-season prospect lists. It’s essentially a way for players to hit the accelerate button on their timeline or hit the reset button on their falling stock, and this year has plenty of players who are capable of doing either one. Baez got off to a great start yesterday by going 2-4 with a HR, 2B and 3 RBI. Some scouts and prospect prognosticators believe that the AFL will be Baez’s coming out party – where he takes his place among the very top prospects in the game. 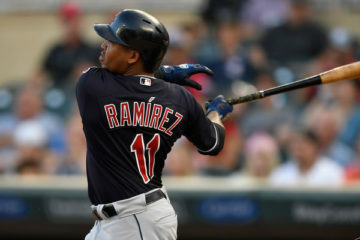 If he can rake offensively and show more scouts that his actions at shortstop really have improved to the point that we don’t have to assume he’ll move off the position, he very well could be an easy top-10 prospect in all of baseball when play wraps in November. Lee’s season was a tale of two halves, as he was hitting .233/.300/.292 at the end of May and then hit .281/.360/414 from June 1 on, which was very similar to his .292/.365/.416 line from 2011. Lee does not project to be a high-octane offensive shortstop, but he has the skills to hit for average, get on base, steal bases and play above average defense. Essentially, that would make him a slightly better version of Alcides Escobar. He just needs to show scouts his early season struggles at the plate were a fluke. Talk about a player who fell into a narrative during the 2012 season. Brown put up a fantastic 2011 season in the Cal League and then followed it up by more or less falling on his face at Double-A for two and a half months. However, from June 13 forward (arbitrary endpoint alert! ), Brown hit .313/.371/.452 with 5 HR in 292 AB. More than anyone else on this list, Brown needs a solid offensive showing to help rid himself of the stink associated with being a potential Cal League wonder. Another player who’s off to a nice start, Liriano went 2-3 with a 2B and a BB yesterday in his first AFL game. It’s not so much that Liriano had a bad year in 2012; he just didn’t have a breakout year. Between High-A and Double-A, Liriano put up a .280/.350/.417 line with 8 HR and 32 SB. 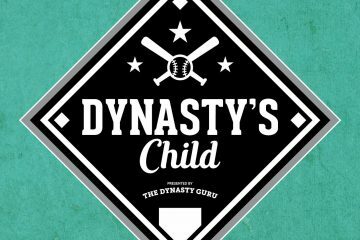 The tools continue to be there for Liriano to develop into a fantasy monster, someone with 20-20 potential and more. If his tools play in this setting, expect his star to rise quickly. Rendon is on this list strictly because of health. If he stays healthy for the duration of Fall League and plays the way he’s capable of playing (the way he has played when he’s been healthy), it will be a big statement for him – and one which could push him back towards the elite among third base prospects. If he doesn’t make it through the schedule, he may begin to fall into Chris Snelling territory. It is not lost on Kolten Wong that 2B has been a big weakness for the Cardinals this season, with most of the playing time there occupied by Daniel Descalso, Skip Schumaker and Tyler Greene. In fact, the position as a whole accumulated only 1.1 WAR for the season, which is good (bad) for 7th worst in MLB. The better Wong plays both offensively and defensively in the AFL, the more realistic shot he’s going to get to win the 2B job in the spring – and even if he doesn’t win it outright, his timetable will be accelerated. *Yasiel Puig was on this list until he was removed from the Mesa roster due to a staph infection in his elbow. Still waiting for that round 4 pick… :). Took your advice and drafted Casey Kelly in the 6th Round of my first minor league draft (in my first dynasty league). Haha, we’re about halfway through round 6, so you shouldn’t have to wait that much longer. That’s fantastic value in the 6th round — you know I’m a huge fan.